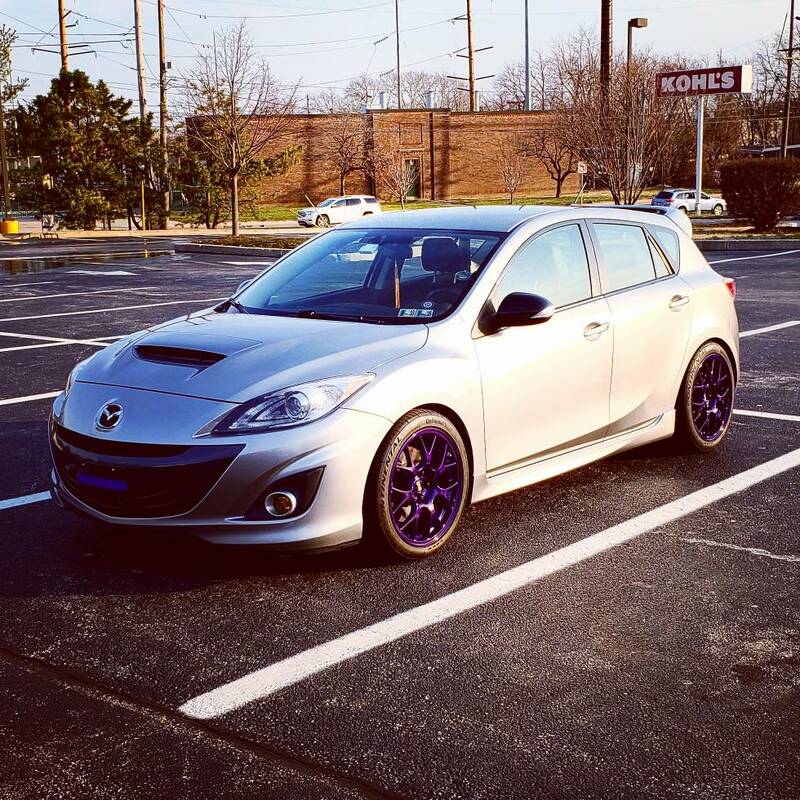 Hi I'm looking to sell my 2013 Mazdaspeed3 touring with tech package. Not in a rush to sell, just posting to see if theres any interest. Would like to get $15,000 OBO. 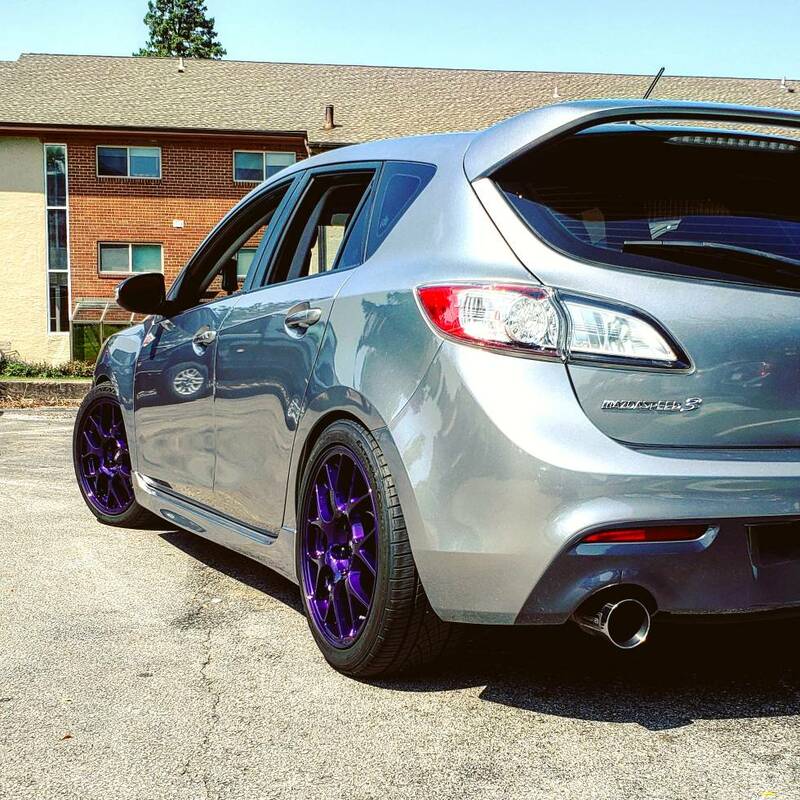 •Corksport gen2 drop in turbo (only 600 miles on it). •Corksport 3 inch non-resonated turbo back exhaust. •Corksport stage II intake and TIP. •Treadstone TR8 FMIC with JBR piping. •Corksport stage II rear motor mount. 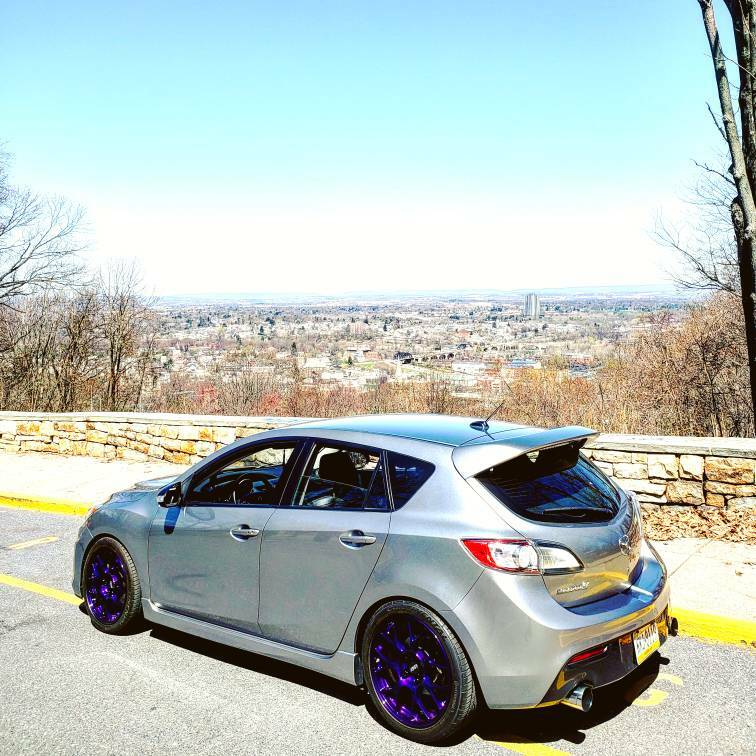 •BBS MR wheels, professionally powdercoated illusion purple, (18x8.5 +38mm) wrapped in 245/40-18 Continental Extreme Contacts. •Valve cover professionally powdercoated mini-texture red. •5% window tint on windows and AS1 line. The car was professionally dyno tuned by R/T Tuning. Tuned on 93 putting down a conservative 340whp and 334wtq. Oil changes were done every 3000 miles with OEM filter and Rotella T6. The cars interior is pretty much flawless. 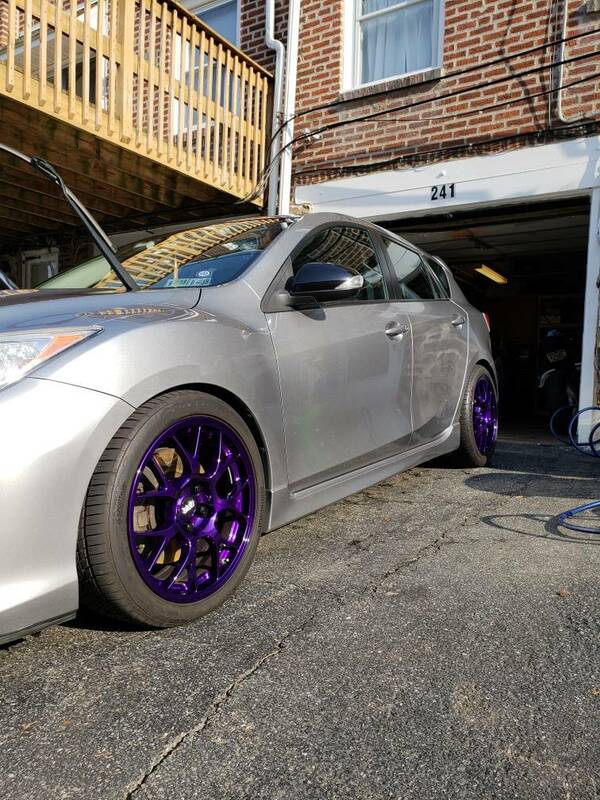 The exterior is in great shape with normal wear and tear for a 5 year old car. Message me for more info and pictures. Last edited by motoXracer56; 10-25-2018 at 04:16 PM. Also Clean PA Title and I am the second owner. 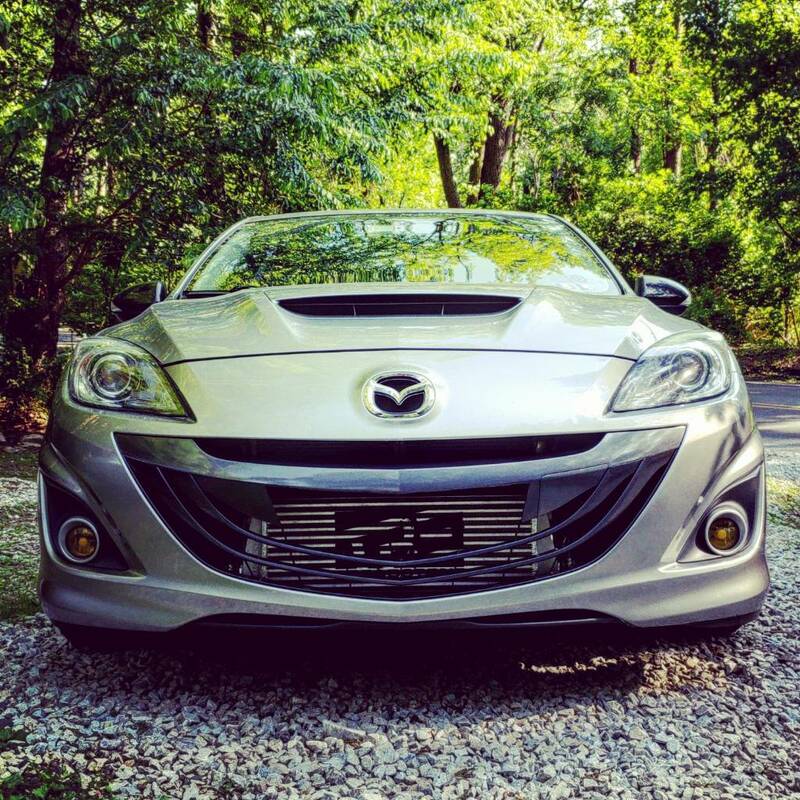 GT with Tech or Touring with Sunroof package + Tech ?